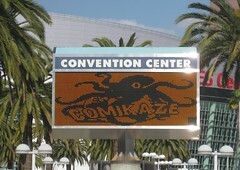 This entry was posted in Conventions and tagged Comikaze Expo, LA Comic Con, Long, Los Angeles on October 30, 2016 by Kelson. 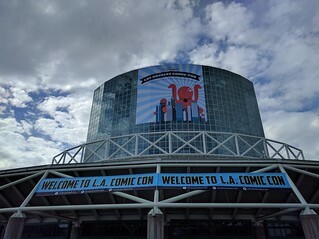 I wasn’t sure what to expect from Comikaze Expo, and I’d just been to Long Beach Comic-Con the weekend before, but I was curious about the new show, and for $12 a day, I figured I’d check it out. Getting a discount on that already-low price through Goldstar clinched it, and when I found out my friend Wayne was going, we decided to carpool. What we found was a surprisingly big show, with a wide variety of exhibitors, though I’d hesitate to call it a “Comic-Con.” More of a general geek pop culture show. There were certainly comic book artists and dealers (a few of whom I recognized from last week), but it reminded me a bit of the last Wizard con I went to (Anaheim 2010). There were actors & celebrities, artists, indie publishers, authors, dealers, T-shirt and nerdy craft sellers, costumers, fan groups for everything from G.I. Joe to Firefly, tattoo artists (that’s a new one), a giant card game area, a giant tabletop game area, and a video game demo trailer. All in all, it was somewhere between Wizard and San Diego without the big names. 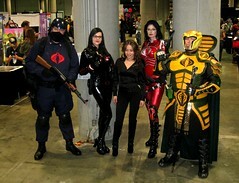 This entry was posted in Comics, Conventions and tagged Comikaze Expo, LA Comic Con, Long, Los Angeles on November 12, 2011 by Kelson.